Monterey County is a 2.4-million-acre scenic postcard, with fog-bound redwoods, crashing waves and rocky cliffs plunging into the Pacific Ocean. But, of course, today’s inspirational landscape is the legacy of previous generations of energetic preservationists, enlightened public officials and generous residents who were willing to give their time and money for the protection of this spectacular setting. 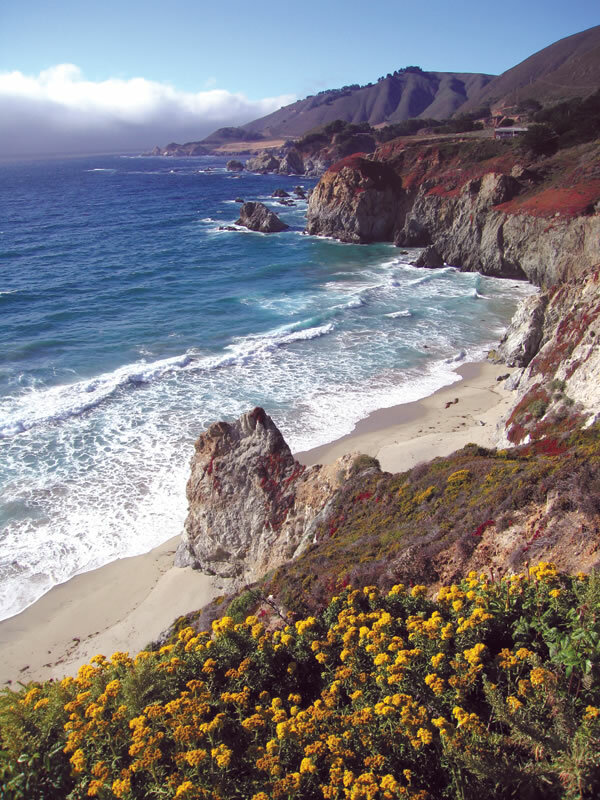 Much of the Big Sur coastline in Monterey County is preserved by the State of California, Monterey County and private land trusts. An extraordinary amount of land in Monterey County has been preserved and transferred to public ownership to date. The federal government is the largest landholder here with the Los Padres National Forest alone protecting a large portion of the Santa Lucia Mountains, which separate the Big Sur coastline from the agriculturally-rich Salinas Valley. The State of California preserves another 17,567 acres within seven state beaches, four reserves and nine parks, including a historic park in the heart of Monterey City with buildings constructed before California was part of the United States. The Monterey County Parks Department manages a system of nine regional parks and two lakes with a land area of 12,155 acres. At 4,756 acres, Toro Regional Park is the largest park in the system and will grow by another 849 acres if the County and the Big Sur Land Trust succeed in acquiring the adjacent Marks Ranch. In 1972, the voters of Monterey County approved formation of the Monterey Peninsula Regional Park District (MPRPD) for the purpose of permanently protecting and maintaining the natural beauty of open space in Big Sur, Monterey Peninsula and Carmel Valley including the seven incorporated cities within that area. The District is funded by a one-half percent allocation of the property tax. The District often uses this money to match state and federal grants, resulting in a doubling of these tax proceeds. In 2004, voters within the MPRPD approved a ballot measure that established the MPRPD Parks, Open Space and Coastal Preservation benefit assessment district for expanded preservation activities. Through that ballot measure, the voters agree to an annual assessment of approximately $19 per dwelling unit or its equivalent for continued open space preservation. In 1975, the District made its first acquisition: the Garland Ranch Regional Park in Carmel Valley, which has now grown to 4,500 acres. In 2004, preservation of the 10,000-acre Palo Corona Ranch was finalized by the joint efforts of The Nature Conservancy, the Big Sur Land Trust, various agencies of the State of California and the Park District. This acquisition represents the largest preservation project to date in Monterey County. So far, the District has acquired 24 parks and open space areas with a total of roughly 20,000 acres. Private land trusts have been crucial to land preservation in Monterey County. Save-the-Redwoods League, formed in 1918, acquired land contributing to Point Lobos State Reserve, Julia Pfeiffer Burns State Reserve and Pfeiffer Big Sur State Park. Big Sur Land Trust, founded in 1978, has preserved over 30,000 acres of land working with its many partners including the Nature Conservancy, the Land Trust Alliance, the Trust for Public Land and the David and Lucile Packard Foundation. Along with many other contributions, the Big Sur Land Trust has been instrumental in the preservation of Point Lobos Ranch, Glen Deven Ranch, El Sur Ranch, Gamboa Ranch, Mitteldorf Preserve, Smith Ranch, and the Monterey Bay State Seashore Lands as well as the 10,000-acre Palo Corona Ranch mentioned above. The Big Sur Land Trust recently launched a project to raise $5.4 million to purchase the Marks Ranch, which is next to Toro Park between the cities of Salinas and Monterey. In short, despite their monumental preservation achievements to date, the people of Monterey County are still focused on preserving more of this phenomenal landscape for future generations.